Here’s a look at which ZIP codes gained and lost the most jobs from 2015 to 2016, the most recent records available from the U.S. Census. City and county records aren’t current. The likely failure of a tax plan to improve regional transit in southeast Michigan is prompting debate about whether relations between Detroit and suburban leaders have soured now that the city is resurgent. In recent years, elected officials have put aside decades of differences and ironed out plans to regionalize governance of the area’s water system and Cobo Center, and pass taxes for the Detroit Institute of Arts and Detroit Zoo. But a $5 billion plan for rapid transit buses and trains was waylaid by objections from the suburbs. 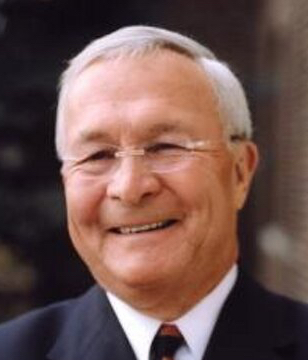 The plan has been all but dead since May, when Oakland County Executive L. Brooks Patterson called Detroit Mayor Mike Duggan “a creep” and said “collegiality is gone” between the two. The tax plan could officially die Thursday, the last scheduled meeting of the Regional Transit Authority before its August deadline to schedule a November election for the tax. Oakland and Macomb representatives on the authority, whose approval is required, refuse to put the measure on the ballot. Opinion | Get real. Detroit wasn’t ready for Amazon. So don’t blame transit. 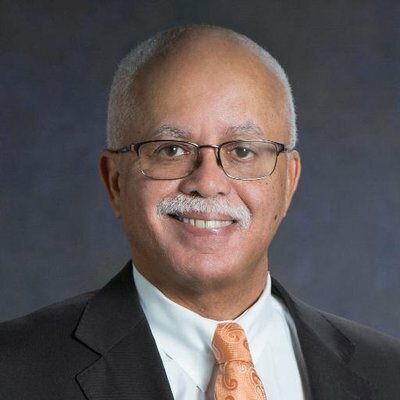 Wayne County Executive Warren Evans championed the proposal and said prosperous Oakland County is “feeling pinched” because it’s losing business to Detroit, its poorer neighbor to the south. “Oakland County has been run very, very well and had a tremendous ride. But history is cyclical and things change,” said Evans, who claimed he doesn’t “have a dog in the fight” in the frictions. Oakland County officials said they’re willing to cooperate and won’t apologize for protecting taxpayers from a plan they say didn’t benefit their communities. 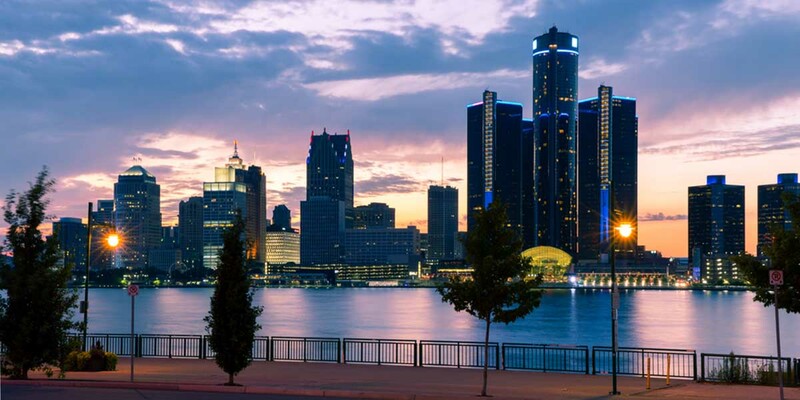 Besides, Oakland County remains the region’s destination for out-of-state investment, bringing in $1 billion in investment from foreign-owned firms in the past four years, county spokesman Bill Mullan told Bridge Magazine. “The premise that jobs are fleeing the suburbs to downtown just isn’t true,” Mullan wrote in a statement. Kurt Metzger, mayor of the small Oakland County city of Pleasant Ridge, isn’t so sure. He is director emeritus for a data firm, Data Driven Detroit, and pointed to Census numbers showing that, in 2015 and 2016, four Oakland County ZIP Codes were among the state’s top 10 losers for jobs: Those in Southfield, Troy, Madison Heights and Auburn Hills. Downtown Detroit, 48203, was third for most jobs gained during those years, a time when the city’s comeback was in its infancy. Metzger said the city-suburb friction is palpable and counterproductive. “You can’t divide and conquer anymore,” Metzger said. “This kind of politics is anathema to the future of this region." For years, tensions among elected officials were a way of life in southeast Michigan. Many spats involved Patterson, a Republican who came to prominence fighting a regional school desegregation plan in the early 1970s. He sparred for years with then-Detroit Mayor Coleman A. Young, a Democrat. 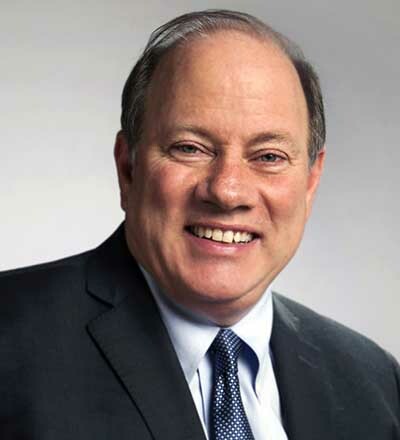 Duggan and Evans, both Democrats, invoked that history last month when Ford Motor Co. announced plans to transform the vacant Michigan Central Depot into its automotive car hub, bringing 2,500 employees to Detroit. Detroit Mayor Mike Duggan’s aides say he’s still able to work with his suburban counterparts, despite disagreements. Duggan aides deferred comment to Detroit’s chief operating officer, Dave Masseron. He said, despite the transit feud, city and suburban leaders still work together on several issues. For example, the suburban and city bus systems are working to improve routes, transfers and ridership, Masseron said. He said Oakland County held firm for years to get a better deal on several deals, such as the creation of the Great Lakes Water Authority that delivers drinking water to 40 percent of Michigan and the regional authority that now operates Cobo Center. “Look at how well these other regional entities are functioning,” Mullan said. Patterson and Macomb County Executive Mark Hackel – who declined comment for this story – withdrew support and are blocking a November vote on the measure that would have taxed residents in Macomb, Oakland, Washtenaw and Wayne counties 1.5 mills for 20 years. Patterson wants some communities, including far-flung ones such as Keego Harbor (which is 24 miles from Detroit) to be able to opt out of the tax. Hackel raised similar objections and said roads are a higher priority than buses. Duggan accused Patterson of spreading “false” information about the proposal. Hackel dismissed suggestions that race fueled opposition to the tax (the suburbs are predominantly white; transit users are disproportionately black.) “People continue to divide this region. I will not allow that,” Hackel said in April. Despite all that, suburban officials are genuinely excited about Detroit’s recovery, said Macomb County Commissioner Leon Drolet, R-Macomb Township. He led the opposition to a similar transit tax proposal, which voters in the region narrowly defeated in 2016. “I think RTA obviously has pitted leaders and voters in different communities against each other,” said Drolet, R-Macomb Township. “It’s a blip in a broader trend of a region that’s feeling more and more united." Evans, the Wayne County executive, intimated that other factors are at play. Oakland County Treasurer Andy Meisner said high-profile business departures from the suburbs to Detroit are “definitely causing some waves” – especially among Patterson. Coupled with lingering feelings about the state’s $350 million contribution to Detroit during its bankruptcy, a transit debate “imbued with a lot of racial baggage” adds to the friction, Meisner contended. “What might seem like a threat at looking at growth in city and companies leaving Oakland county, I see it as a opportunity,” said Meisner, a Democrat who is viewed as a contender for the county executive post should Patterson, 79, retire after his seventh term ends in 2020. Among other high-profile moves, the Detroit Pistons left the Palace of Auburn Hills last fall for Little Caesars Arena downtown and auto supplier Tata Technologies is moving its headquarters from downtown to Midtown. Metzger, the Pleasant Ridge mayor, said suburban fear that growth is a “zero sum game” and competition between the city and suburbs is divisive. By 2025, areas such as Oakland County will have more residents over the age of 65 than under the age of 18, he said. That means the region needs more workers and people need to realize the city is now the region’s growth magnet, he said. “While the suburbs have benefited from both federal policies and Detroit’s downward spiral, their ‘strength’ is illusory,” he said. Oakland County Commissioner Shelley Taub, R-Bloomfield Hills, said there’s no comparison between the disagreement today and racor of the past. “I really don’t see the kinds of push pull we’ve had in past,” she said. Grace Shore, CEO of the Macomb County Chamber of Commerce, agreed, saying the only real dispute is the RTA. “These are professionals, these are people who deal in complex issues,” she said of the region’s leaders. Oakland County Commissioner David Woodward, D-Royal Oak, has another idea: Old-time pols should retire for the good of the region. That would tamp down tension overall, help smooth out the transit plan and improve regional cooperation, Woodward said. There is a critical error in this Bridge Magazine article. The proposed RTA plan will cost taxpayers at least $7 billion, not $5.4 billion (the article says $5 billion). HNTB, the transit consultants, published a summary of the plan and its finances on June 7 that took in commentary from a variety of sources. That summary quietly upped the amount Southeast Michigan taxpayers will pay under the proposed RTA plan to $7 billion. No media have really picked up on this fact. Wayne County and Detroit are still pushing the $5.4 billion figure, probably because admitting that the plan they support missed the mark by at least $1.6 billion will ensure the plan's defeat and demonstrate that those who support the plan have done so before getting all their ducks in a row. Deputy Oakland County Executive Robert J. Daddow, who is respected by governments throughout Michigan and bond rating houses on Wall Street for his fiscal acumen, analyzed the RTA's financial technical memo that was released in the spring and found many incorrect fiscal assumptions and misunderstandings of Michigan property tax law. After informing the RTA, HNTB and the RTA returned to the drawing board on the finances and made some but not all of the corrections. If additional corrections to the fiscal part of the RTA plan are made, they have the potential to drive even higher the amount that taxpayers will fork over. By the way, it is worth noting that when HNTB and the RTA put together the financial components of the transit plan, they did not contact the Oakland County Equalization Division which would have all the accurate property value and tax information that is necessary to understand how much taxpayers will truly pay. I believe they left out our friends in Macomb County too. Only after the discovery of significant fiscal errors in the plan did they reach out to the suburban equalization divisions. Buses are very old thinking for mass transit. I'd be more inclined to support a tax that created a fund that all regional citizens could use for Uber, Lyft and autonomous vehicles. These services are door to door. That's very important for the elderly such things as doctor appointments. No waiting in the cold or heat at a bus stop 2 blocks fro home. No getting the last 2 blocks to the office door. A modern system using a concept like this would be much better for the users than buses. Buses are actually the opposite of old fashioned thinking and are already being produced with autonomous technology in other parts of the world. Buses are just looked down upon because they are accessible by all, including people from low social economic status. Cars are held in higher regard because they separate the classes. It is evident by brands and prices despite the fact that they all have roughly the same purpose: move a person(s) from point A to point B. Ride sharing will not be accessible by all because it relies on people to own smart phones to use them, know how to use said smart phone, costs much more and there is even a social rating associated with it where drivers & passengers can rate each other. It WILL be discriminatory. We have based 95% of our economy around roads and buses use those roads so why aren't they the answer? Can you think of a better way to move a region of 5 million people around besides 5 million cars? I can. Anything but local bus for long distance. Or scrap the ann arbor rail.... we either get on board with bus or we dont but wr do not promote giving one part of the region a sword to murder the part paying for the plan. Are you saying that by Oakland, Macomb, Washtenaw & Wayne County residents, paying a few hundred extra a year in taxes, will be "murdered" by Detroit? That's an odd way of putting it. Even if you meant economically, that statement proves that transit is a valuable economic tool. I seriously doubt that the surrounding county's economies are so fragile that they could not withstand such a tax. Besides, you're talking a region of 4 million vs a city of 600K where transit would have more benefit to the 4 million than the 600K, especially since only a small fraction of Detroiters use transit to exit the city for work. There is far greater economic value in this for Metro Detroit through airport routes, frequent crosstown routes, routes on every highway and money set aside for local government to contract with ride share and other services to meet their transit needs. This is far bigger than just getting Detroiters to jobs in the suburbs. I'm saying that if you put rail in one area and local bus in another that yes - it absolutely is a bloodbath of economic warfare proportions. Transit is an economically viable tool and putting rail from Washt to Wayne would be used as a knife to stab into Oakland and Macomb and to use against them on an economic front. The economic value is solely and entirely along that rail route - adding bus service is a noble goal but look at where and how it is added. Pathetically slow, no lane priority, limited signal priority, limited communities involved, massive funds but no real benefits outside of what already fails over and over again. 15 minute priority is baked into this plan to inflate costs because the level of service provided is so incredibly trash can level that it inflates cost by ignoring actual speed. Like I said - if we're going to have a 45 MPH rail route in Wayne - that should be the target for major corridor transit in Oak and Macomb - not 12 MPH bus routes. I don't argue against transit - I'm on board with that. What I'm not on board with is a plan that clearly shows the 5 votes that Wayne/Washt have will systemticacally be used in the RTA to economically put a knife in the back of Oakland and Macomb while they fund over 60% of the plan. In response to Jerry above - we need to stop putting faith into Uber and Lyft as mass transit replacements or solutions. Certainly, these services play a role in transit, however they're still vehicles on the road. Twenty riders taking twenty Ubers is still twenty cars on the road, whereas if they're all going in the same *general* direction, mass transit like buses and light rail will always be more efficient. Sorry. I'm not at all for paying for a better pipeline for the idiots in Detroit to ride over and trash our neighboring suburbs. Look at what they've done to Inkster, Westland, Redford, and soon to be Livonia and Farmington.